*The date of release will vary depending on the retail shop. Prior to purchasing, please contact the nearest retail shop. 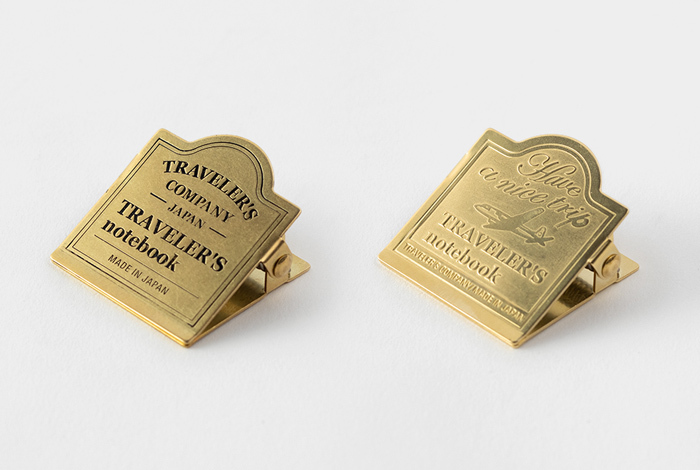 This Brass Clip will keep your TRAVELER’S notebook open. 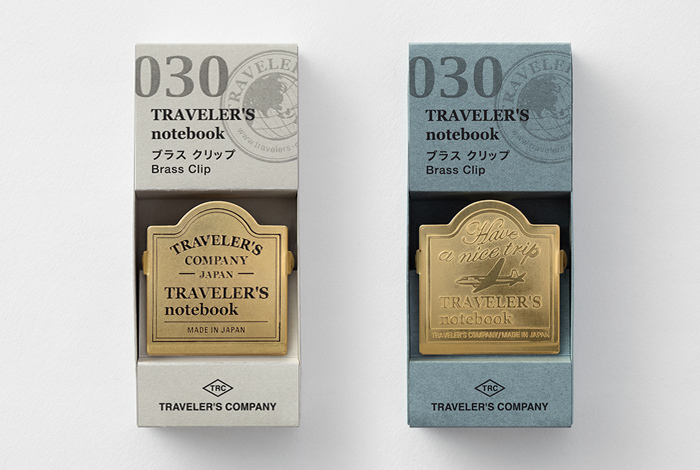 Made in a factory in the old downtown area of Tokyo, this clip’s materials, size, design and spring strength are especially created for use with TRAVELER’S notebook. 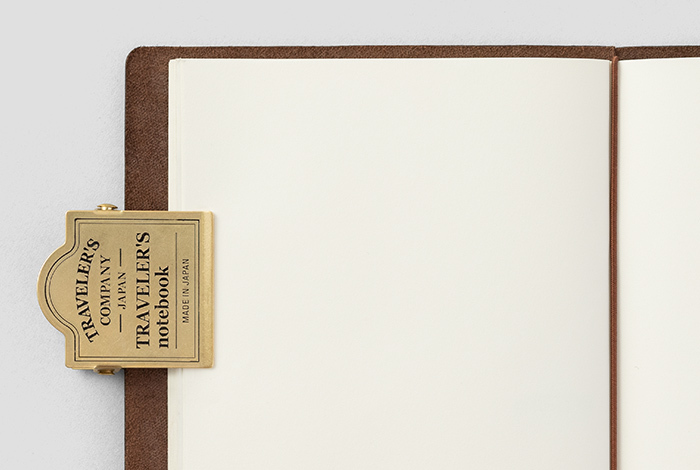 When taking your TRAVELER’S notebook on the go, attach it to the leather cover or a refill so it’s ready to use when you want to write or take a picture. There’s also a hole in the back that you can use to hang it on a wall and use your notebook for decoration. Because it’s made of solid brass, its color will mature and change the more you use it!